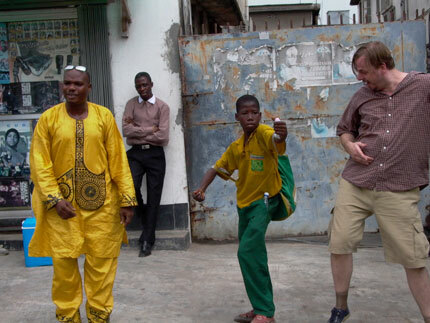 Editor - Afeez Animashaun (Lagos) und Peter Ogurzow (Berlin). Postproduction (Lagos) - Top Ten Studio/Rulie Communication. Mit support from Maison de France, Lagos and Heinrich Boell Fundation, Lagos Office. 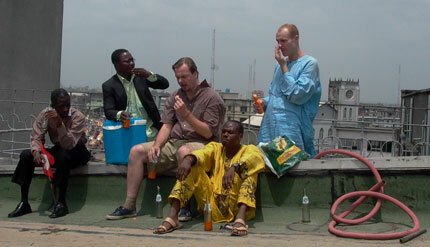 Mainland Hotel Oyingbo Lagos, French Cultural Centre, Kingsway Road, Lagos, La Source Bar at French Cultural Centre, Mr. Adebowale Olaoye, The Redeemed Christian Church of God Gethsemane, Parish Oyingbo Lagos, Mr. Hans Koeppel, Embassy of the Federal Rebublic of Germany â€“ Lagos Office., Mr. Axel Harneit Sievers, Director and the staff of the Boell Fondation, Lagos Office. Mr. JoÃ«l Bertrand, Director and the staff of the Maison de France, Lagos Kabat Egbon, Lagos. Matthias Heeder, Hamburg.